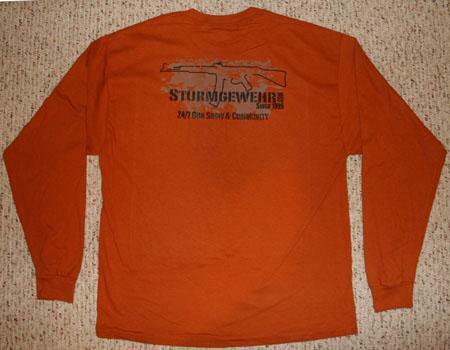 Size Large, Long Sleeve Burnt Orange Sturmgewehr.com T-Shirt, $18 shipped. 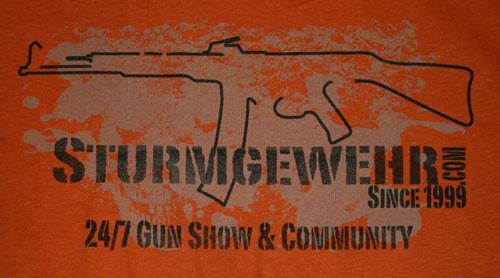 We have a few of an older design Sturmgewehr.com t-shirt remaining in size large, and are offering them at this special price. 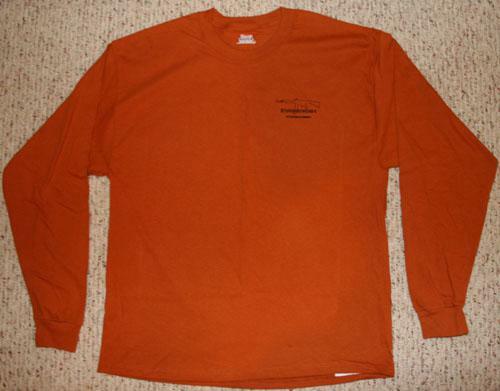 This is the only long sleeve shirt we've ever offered. Shipping is included to the U.S. only.